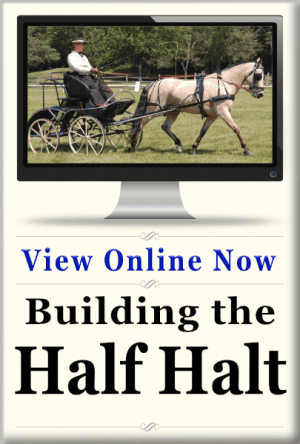 Having a horse that doesn’t stand can be one of the most frustrating and confounding problems. 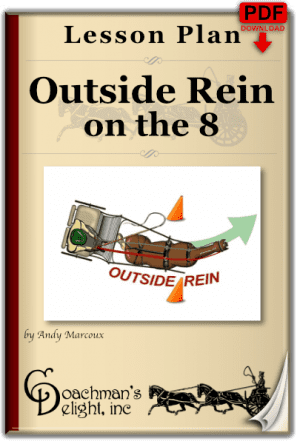 It limits the activities you can comfortably participate in, it puts you and other people at risk, and can just generally take the fun out of being around your horse. 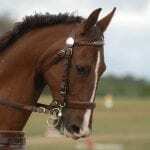 There are reasons that your horse won’t stand that at once more, and less obvious than you may think. Identifying the cause of the problem will go a long way to finding the solution. Here are 5 of the most common reasons why horses don’t stand. This is above all the lamest excuse for your horse not learning how to stand. If you think this is true, then you’ve never been to a breed show for gaited, high action horses such as Saddlebreds, Arabians, Morgans or any number of other breeds that the horses are expected to “Park Out” in a show ring. It may not be your brand of showing or horsemanship, nor is it mine, but there is a lesson to be learned there. At those shows high action and high energy rule the day. There are bag whips and bulging eyeballs as the horses fly around the ring. People seem to be willing to do anything to get the horses more ramped up for action. Yet, when it comes to the part of the class when the horse has to park out for inspection, they appear to be glued to the ground. These are among the most high-strung horses you’ll meet, and yet many of them will stand stock-still when asked to park. It serves as evidence that even the most white-eyed horses can be taught to be still. Too many people fall into the thinking that “If it’s not trotting, it’s not training.” No one has any problem with the idea of working on a lengthened or working trot by repeating the movement 10 or 20 times in a row. Jumpers practice finding distances to jumps, by jumping courses over and over again. Drivers practice driving cones by driving through series of cones over and over again. However, few people ever practice standing in the same fashion. If your horse is ever going to learn to stand, you must put it in your mind that standing is, in fact, an activity. Just as with all of the other movements, it’s a skill that has to be practiced, repeated, honed, and perfected. Similar to other movements, it’s not going to be perfect the first, second or tenth time you work at it. But, with practice, and repetition, it can get incrementally better over time. You have to make standing the focus of your work in several of your training sessions. Once you have success with standing as the only focus in training, you can integrate it into training sessions that involve other work. However, you still must treat it with focused attention as a skill just like any of the other skills that you train. If there is a block somewhere in your horse’s learning, you have to follow the roots of the problem all the way to the origin. In the skill of standing, the roots reach all the way back to the barn before you’ve even put a single piece of tack on the horse. Think of most horses standing in the grooming area. 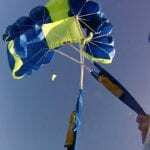 They’re on cross ties or some form thereof. You curry one side of the horse, he takes a step forward and to the left, and you just follow him as he goes. When you switch sides, he takes two steps back and to the right. No big deal, you just move to where he’s standing and continue your grooming. You go to get your brushes, and he hears something of interest out the back door, so moves sideways so he can crane his neck around and look at whatever it was that sounded so interesting. Maybe you return him to a more normal position to keep grooming, but if it’s not making it so you can’t groom him, you probably don’t. This cycle continues through the entire grooming and tacking process. I call this “dance grooming”. Throughout the grooming process, the horse is in movement, and the person follows the movement. Since the horse is tied to one area, it doesn’t terribly inhibit the grooming process, so the person never sees it as a problem. They just follow the horse to the new spot each time he moves. The horse is leading the dance. There are two issues going on here. The first is that the human hasn’t put a premium on the activity of being still in one spot. So the compliant horse never learns that this is something important to the human. For the most part, our horses value what you consider “good” behavior. If they didn’t, we’d never be able to train them to do all of the really cool things we do with them. Since in the most fundamental handling of the horse, there is no value to the act of being 100% still, the horse doesn’t really think of it as anything that is necessary to please his person. With horses that are a little more bossy, this is a subtle act of non-compliance. We all know what it looks like when a horse “doesn’t stand to be tied.” It’s misery. The horse is pulling against the rope or cross ties. Moving forward, then back, then sideways. In really bad cases the horse jerks the rope with his head, leans back against the tie, or rears. Eventually, something has to give, usually the rope, and the horse leaves the scene. With that as the standard for a horse who “doesn’t stand to be tied”, the bar is pretty low for the horse who does. If the horse isn’t actively resisting the concept of being tied, we consider the horse compliant to be being tied. Maybe he’s not perfectly still, but it reaches the level of “good enough” because the only reason the horse is tied is to groom and tack the horse. Horses pay a lot more attention to “good enough” than you think. They test, observe, and test again. These are traits that we don’t often associate prey animals. Over a lifetime of watching horses, I can tell you that they will search for the limits of their boundaries with some surprisingly methodical approaches. They will look for how much they can do without correction. Each time they find something they can do without correction, they will check to see if they can take that one step further. Finally, they’ll check to see if they can influence their person. If they find a way to move, that affects how the person moves, they learn that they can influence that person’s movement. They’ll test that to the limit of how much they can influence the person in the scenario. Standing while grooming, you may not realize it, but your horse most likely is testing how much control over the situation he has. He’s tested the limits of his boundaries, and the limits of how much he can get you to comply with his wish for movement. He may appear to be complying with your request, but in a very subtle way, he’s getting his own way under your very nose. Those definitions show up in every interaction with the horse beyond that space. The most disruptive place people have trouble getting horses to stand is at the mounting block, or when it’s time to be hitched to the carriage. This causes anything from a minor headache to a major safety hazard. People often say “He’s just so anxious to get to work.” This is often true, but for a different reason than you think. 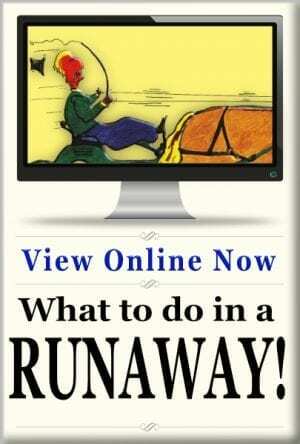 What’s the first thing you do after you’ve mounted your horse or carriage? Some people might take a moment or two to “get settled”, but how long does that take? 30 seconds or a minute at most. In the next moment, they tell the horse to walk on. In many cases, people will walk their horses for a few minutes (which in reality equals about a minute and a half), then ask the horse to trot. This happens day after day, training session after training session. The horse is literally being programmed that mounting is always followed by movement, often vigorous movement at that. So how can we blame the horse for making the assumption that once mounted, it’s time to move? This is exactly what you’ve told your horse you want. How would this be different if every day the moment you mounted the horse or carriage you made a phone call? If mounting the horse or carriage is never followed by non-movement, the horse will never learn to be still after mounting. One of the best ways to teach your horse how to be still is to hitch or mount, then ask for non-movement. 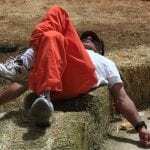 When that is achieved, dismount, unhitch and return to the barn. Whoa! Kind of mind warping right? We’ve all had this experience. A horse doesn’t want to be still. Maybe it’s waiting for a class, waiting for another horse to load on the trailer, or just stopping to have a conversation with a friend. You don’t want to leave the area, but your horse doesn’t want to stop moving. What do you do? Take a circle. This has been a major part of our horsemanship for all of out lives. In fact, it’s huge part of many trainer’s programs. If the horse isn’t going to be still, make him circle and return to the same spot. Standing is the activity of not moving. Walking in a circle is an activity of movement. You can’t really walk in a circle without moving. So by asking a horse to circle because he’s not standing you’re trying to train a horse to not move by telling the horse to move? I can’t imagine why that doesn’t reconcile! Certainly, there are times when taking circle is the most appropriate thing to do. 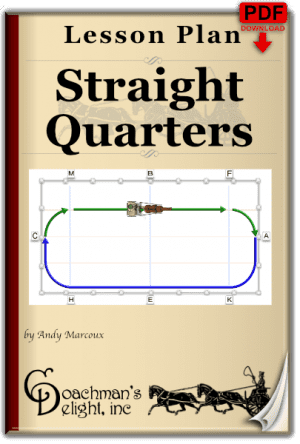 If the alternative is the horse rearing, striking, or bolting, you’re better off making a circle. This, however, speaks to a whole host of other issues surrounding submission, aggressive behavior, or fear. If it’s an isolated incident such as kids on a trampoline, or a dump truck picking up a dumpster, you’re better off to let it go. However, when it’s an issue of non-compliance through aggressive behavior, it needs to be addressed. Interestingly enough, one of the most effect ways to overcome that behavior is building compliance through unmounted standing exercises. Teaching a horse to stand isn’t difficult, but it takes patient, focused work. For more information, including lesson plans for teaching your horse how to stand, please visit Teach Your Horse to Stand. No seriously, it’s what you said. “How can they reconcile it?” Amen. If I purchased your article, would you be available to answer my questions, if I had any? Haha Beth! Love the linked video! Sums it up pretty well. 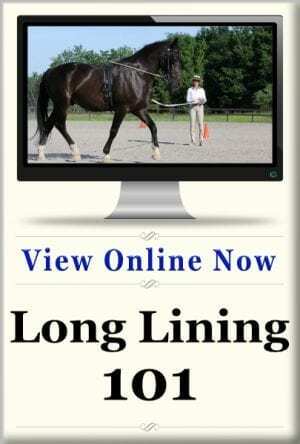 As it happens, I’m giving a full-length class on my whole methodology for Teaching Your Horse to Stand on December 13th. The article in question and the lesson plans that detail how to put the teaching to use come free with the class. Plus, you get to ask all the questions you want during the class. Wait… Germany? Ugh, it’ll be 3am in Germany. Well, you’d still get the recording of the class to watch, and most likely other people will ask similar questions. From the looks of your blog, you’ve got a pretty good idea of where you’re going with this training. I will say, it’s really important to get the standing as the standard even when you’re grooming for work. It sets the tone. Also, it helps pre-empt what Barry was dealing with in his video. I’ve been in those shoes plenty of times! When I changed my thinking on the stand training, my life got a whole lot easier. I’ll also be putting some extra focus on the work of getting the horse to stand in harness, under saddle, at home, or away from the barn. I love your writing and guidance on teaching my horse to stand. These articles and lesson plans have been really helpful! There’s just one thing that I need help with, sort of related to this topic. I have a really nice little Morgan pony who I compete at preliminary level CDE’s and some pleasure shows. She’s a real peach, and is doing really well (IMHO!). But there’s one thing that is just driving me crazy. Every time I ask her for a halt, she takes two or three steps back after she’s halted. I can’t quite figure out what her deal is. Great topic, and the lesson plan was clear and helpful. This is such a pet peeve of mine! In trying to teach a horse to stand, I have always been confused between two philosophies: on one hand, I have been taught that if a horse has the notion that he needs to move, you say, “Great idea!”, and move his feet all over the place until some point you have shown him it would have been easier to stand. The other approach I guess is to keep putting the horse right back where you wanted him to stand, over and over and over and over, which for me is hard to do without getting hot under the collar, and doesn’t achieve the result either. All is harder when you have a work harness on and you want to hitch to a log, and the horse wants to move. 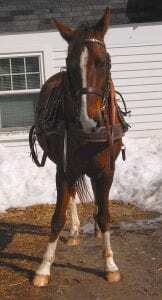 I am looking for more keys to get the standing part solid before I take on hitching with harness and chains. In one case, the horse was a seasoned worker, and I never could tell if he was not mentally ready to do this, or just messing with me. Sorry to go so long without a reply! The “keep the horse moving” school of though can work, but it takes a whole lot of time, and really doesn’t work well for carriage driving. Once you start putting a horse to the carriage, you can’t afford to have him move at all. My method involves teaching the horse that when I tell him to stand in a specific spot, it’s not negotiable. Each time he moves, I return him to that spot exactly. 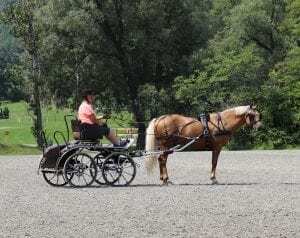 This technique has proven very effective and takes a whole lot less time than doing a thousand circles until the horse is tired enough to stand. 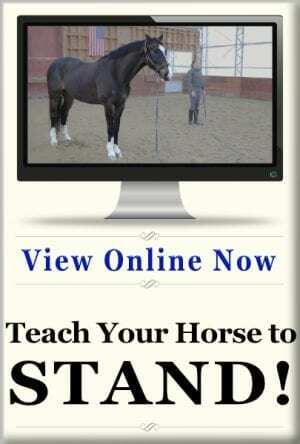 I’ve just posted a lesson plan, and will be posting more on page Teach Your Horse to Stand.